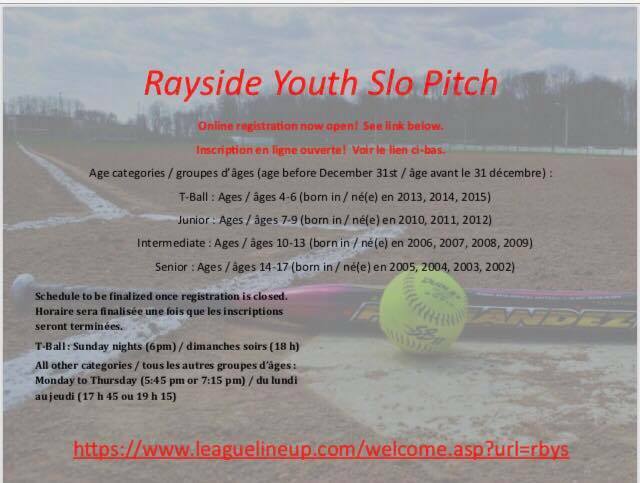 From now until April 25th registrations are being accepted for Rayside Balfour Youth Slo pitch, played in Azilda. Players are welcome from all areas. TBall and youth divisions starting at age 4, and a new Teen division for ages 14-17. Register at www.leaguelineup.com/rbys. You can also email raysideslopitch@outlook.com or check our Facebook page for more information.